Study songwriting with a published professional! Sing Like a Star Studios offers Voice Lessons for all ages and experience levels from professional singers to beginners, Songwriting, Piano and Guitar, Lessons for Children, Studio Recording, and Performance Opportunities. We offer a Lessons for Less program with our highly qualified and trained Sing Like a Star Associate Teachers and a very unique and age-appropriate program for younger singers. You can take lessons from anywhere in the world with our Online Lessons. The first step to getting started with any of our classes is to register for a no-obligation GETTING TO KNOW YOU introductory session with the teacher of your choice. Students who are highly motivated or are interested in becoming professional singers should invest in lessons with studio owner and Master Teacher Tricia Grey, MM. Students with financial constraints or who are exploring singing for fun will enjoy lessons with our SLaS Associate Teachers. QUESTIONS? Please email our Sing Like a Star support team at support@singlikeastar.com; call our support team at 404-790-1830 Monday-Friday, 10-6 pm EST. This document will answer any questions you have about lessons at Sing Like a Star Studios. 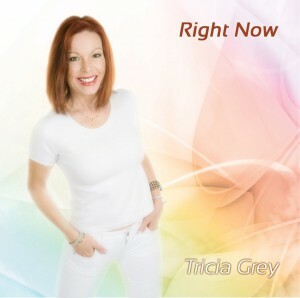 “Right Now”, the new CD by Tricia Grey, will move you to laughter, to tears, and will inspire you to get up and dance! With an exhilarating combination of positive, uplifting and inspirational lyrics set to jazz, blues, gospel, rock, and world beat music, this album will appeal to all lovers of good music. Unique and soulful lead and background vocals make this album a harmonic delight to listen to. Tricia is thrilled to be writing about subjects that will empower and inspire her listeners. Her songwriting speaks to life’s lessons learned, in a way that touches your heart. And she knows how to rock, too! 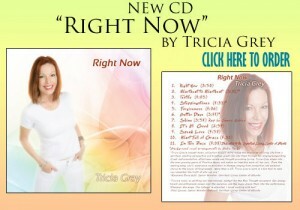 All songs written by Tricia Grey, ASCAP. We look forward to helping you Sing Stronger…Sing Higher…and Sing like a Star!